Islandaire's EZ Series 26 units are designed for individually-zoned climate control. With heavy-duty construction and a focus on noise reduction, this model gives guests a quiet, comfortable experience. Operating at a whisper, this TTW unit gives users their ideal climate without the disturbance of noisier models. How? Here's how: A brand new motor design lets the unit operate efficiently at lower speeds, cutting overall sound levels. Vibration isolators absorb the noise of the compressor. The elongated fan spreads air over a wide area, keeping things even quieter. High-density insulation keeps outdoor sounds where they belong--outside and away from your guests' ears. Islandaire provides further convenience through an intuitive digital control system and a hand-held remote. And who says the indoors has to be stuffy? A fresh air vent brings clean air in from the outside, giving guests a crisp, healthy environment to bask in. Some TTWs are known for an all-too-brief lifespan. Islandaire won't give you any worries on that count. They built this model to last. Advanced anti-corrosion protection shields the outdoor coil, extending unit life--especially in harsh weather. Both the indoor and outdoor coils boast stainless steel endplates for added protection, and the indoor coil frost sensor guards the compressor. The durable front panel features a break-proof control door and tough design. The permanently lubricated fan motors extend the life span as well as add yet another layer of noise reduction. 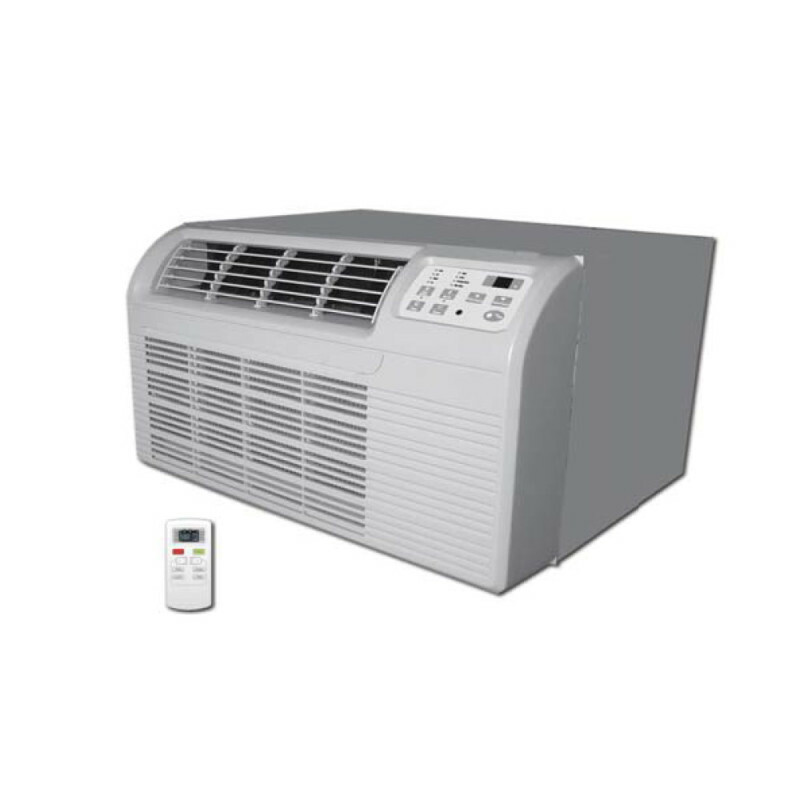 And lastly, the tamper-resistant grille and durable powder coat will keep your unit cooling and heating for a long, long time--all at a whisper. And maintenance? Maintenance is all too easy: the washable antimicrobial filter is designed for easy removal. As for the rest, this device was engineered to handle most everything itself. Islandaire does the work so you and your guests can relax in peace.